As Jack London said: "You can’t wait for inspiration, you have to go after it with a club". This is exactly our philosophy. Creativity is the product of hard work, of perspiration, of seeking out new trends and new solutions and of thinking how they can be incorporated into each and every new job. Of daring to ‘think outside the box’, resisting the restraints of limited imaginations and even more, limited budgets. 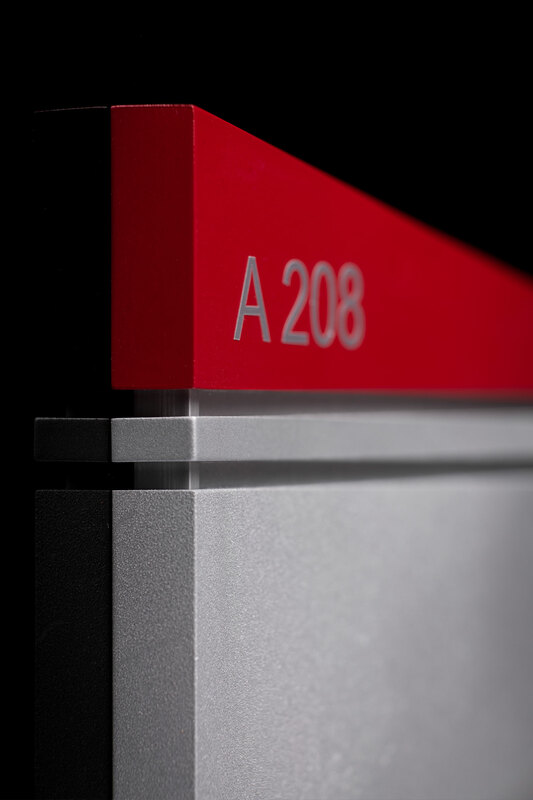 Of responding to the challenges of manufacturing unique quality signage systems to meet the increasing expectations of hard-pressed designers and architects. Of working with clients who, alongside us, are capable of breaking away from tradition, moving barriers aside to meet specific needs in signage, whilst operating within both a time and cost frame that suits all parties. Many of our clients are willing to pay a premium on the way, to stand out as special and separate when it comes to their immediate competition. We know, too, that the secret of successful signage is when the manufacturer can rapidly adjust and respond to the ever-changing creative needs of the designer/architect. We give you the tools to achieve this. Come and share in our success. See the designs of the world’s foremost professionals. Load and match your design on to our website Designer's Library and become part of our exhibition to focus on contemporaneous, sophisticated, dynamic signage which shows off your designer-DNA. Every one of your designs will carry your name and signature. With Mirtec, you have the facility to allow your creativity and innovation to fly free, in every profession from dressmaker to architecture. Our major commitment to creativity inspires us to ensure an innovative technological advance is introduced every quarter. Come and take a look at how our inventiveness has moved the signage industry to new heights over the years.